Hosting Thanksgiving may seem like a daunting task but these tips from Southern Living, Elle Décor and Country Living will take the guesswork out of hosting a proper meal. Starting with Garden & Gun’s guide to setting a southern table, this holiday will be one your guests will remember. Using a Kraft paper tablecloth or placemats is a fun and easy way to keep the little ones entertained at the kid’s table! These long, beautiful stems are the perfect way to accent a buffet or entry table. 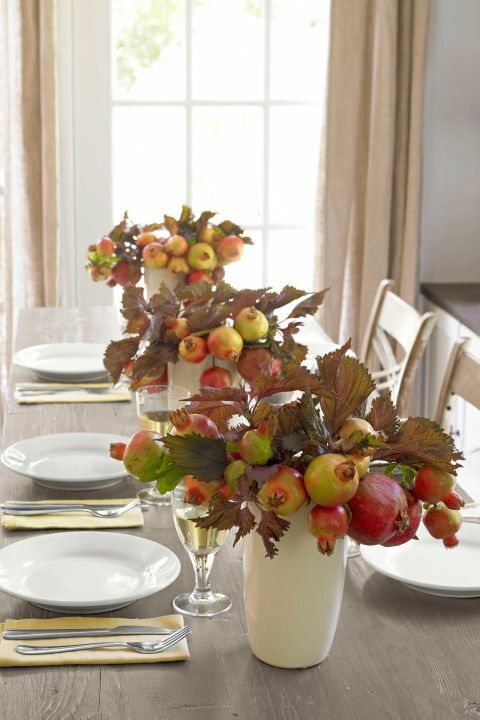 The coloring in pomegranates is perfect for a fall arrangement and offers a refreshing alternative to flowers. 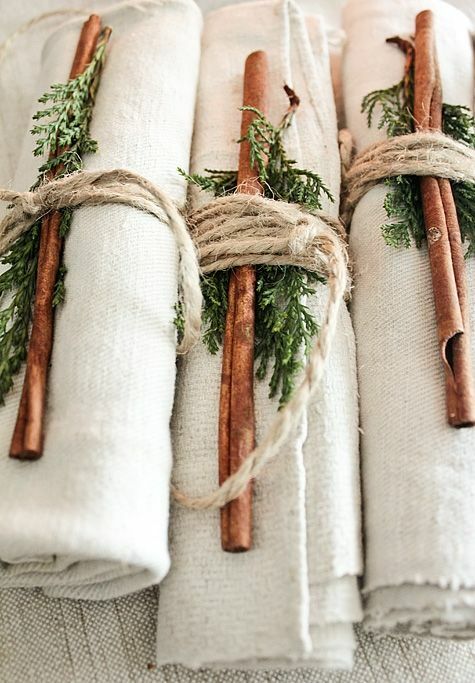 Including small details into your décor like the cinnamon touch to these napkins will make the evening feel festive without having to decorate the whole house, or even the whole table. Offering a dessert station is a great idea for hosting large groups. After eating a big meal, some will be anxious to get back to watching football or some may want to snack on dessert for the rest of the day. With a dessert station, guests can help themselves as they please. Sticking to one color palette for your table setting creates an elegant and sophisticated look. In this case the white and neutrals make for a classic and inviting table. If your dinner is going to be buffet style, skip the elaborate table decorations and go for statement pieces on your buffet table. In this case the host found statement pieces at a local craft store and then painted them a uniform shade of warm gold. Tired of the usual Thanksgiving décor and color schemes? 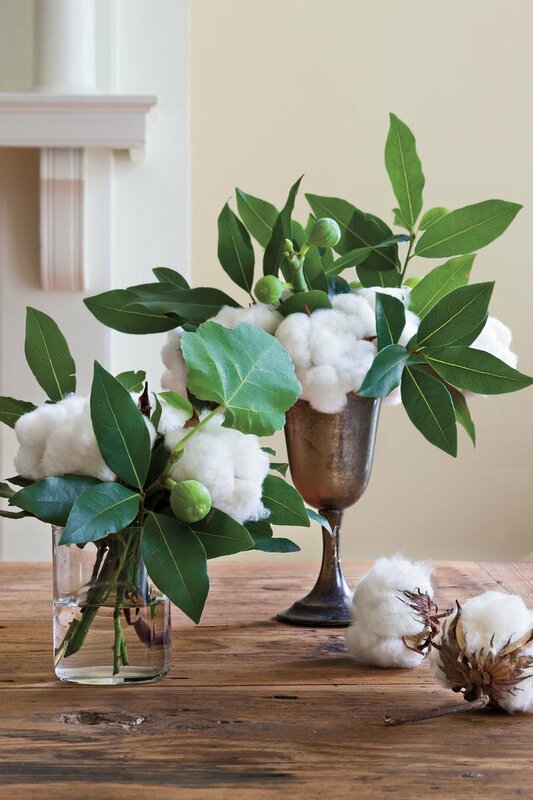 Switch up your style with cotton and greenery for a simple yet statement-worthy centerpiece. 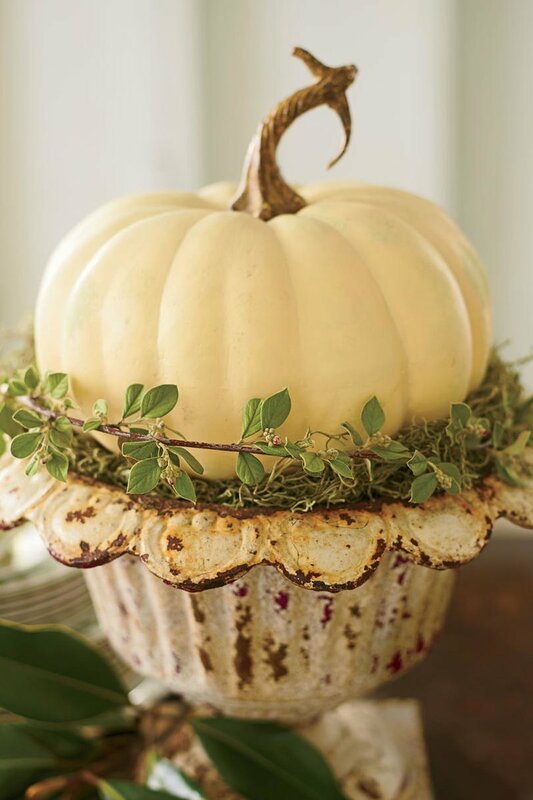 If you have pumpkins leftover from Halloween that are un-carved, this is a great way to put them to good use and make a beautiful, festive centerpiece all at the same time. Everybody likes to put their own twist on a Bloody Mary and with this gorgeous bar set up, who wouldn’t have fun mixing one up? This is a great way to take the pressure off the host to constantly check on guests while also trying to get food on the table. Having leftovers is one of the best parts about Thanksgiving. 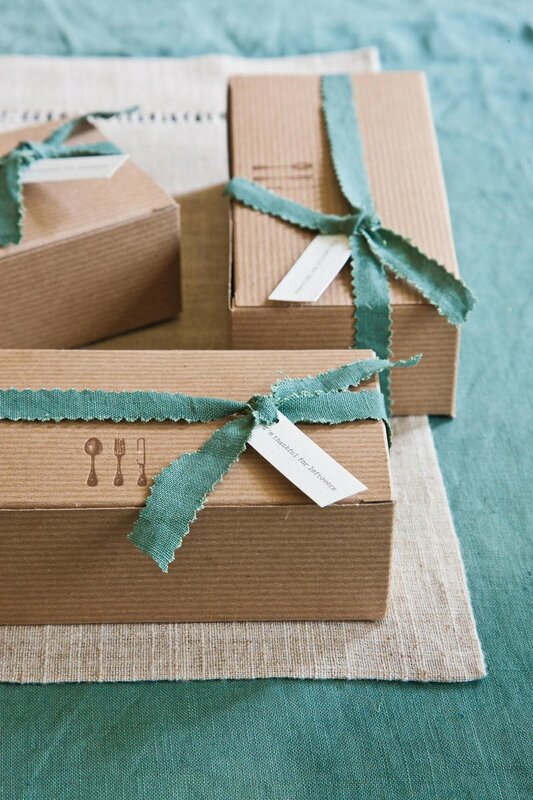 Think ahead and have to-go boxes on hand so you can send your guests home happy! Posted on November 17, 2017 by Hannah Benak.